It's that time of the month to interview someone who is Living Life Profashionally! I believe that to Live Life Profashionally means to strike the balance of being professional and fantabulous. It means to carry yourself with class and to never stop reaching for your goals whatever they may be. 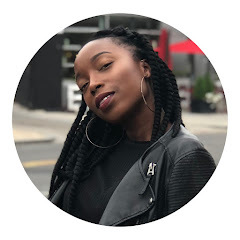 This month's interviewee will be entrepreneur, Paakow Essandoh! 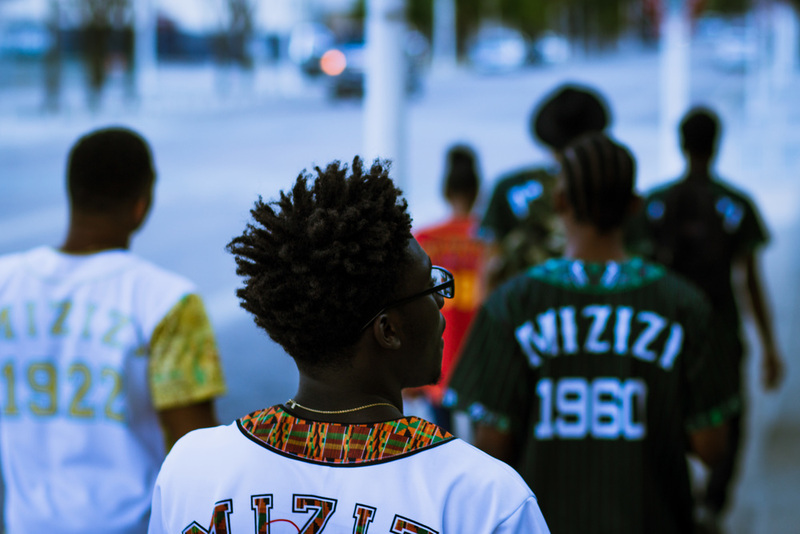 He is the Co-Founder and CEO of the urban Afrocentric clothing line, Mizizi. I am sure that you have seen these dope jerseys but now you can meet the man behind it all. 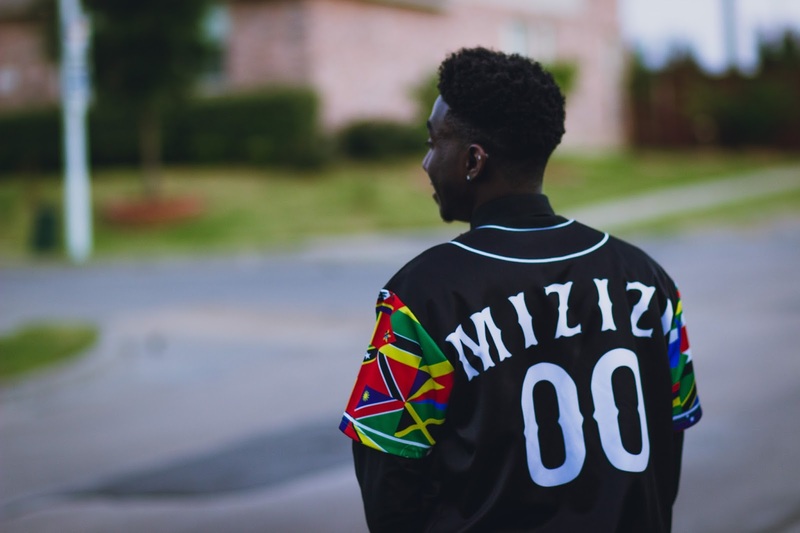 TPF: First and foremost, what is the meaning of "Mizizi" and why did you choose it as the name of your line? Paakow: Mizizi means "roots" in Swahili. The name came about when George (Co-Founder) and I were coming up with a list of Diaspora related words, which he then translated into his native language, Swahili. TPF: How did this line come about? Paakow: When I first met George, I thought that the clothes he wore were so dope. He would come to class in regular, modern day clothing but with African Print stitched into it. Once I saw that I was instantly inspired. I thought about how I could market it to all the Africans I knew back home in Texas; not only for my friends, but other proud Africans as well. Afterwards, George and I (with help from close friends) worked on ideas and sketched of what our brand should consist of. Our ideas spanned from everything to jogger pants with African fabric to bucket hats. As the days went on, George had a few other business endeavors on his plate and wasn't able to give his undivided attention to the clothing line. We discussed it for a bit and we agreed that I would solely run the clothing line, and that we would support me if need be. Paakow: Born in Brooklyn, NY; moved to Columbus, Ohio, raised in Dallas, Texas, currently living in Tampa, Florida. 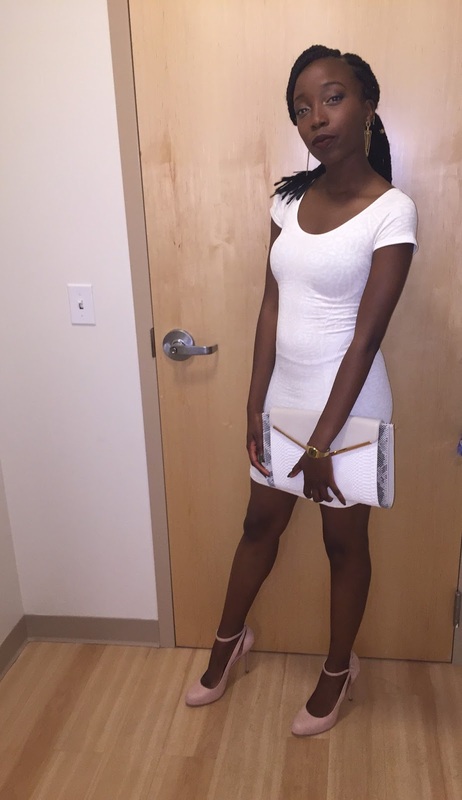 At the age of 20, I am a junior at the University of South Florida and the Co-Founder and CEO of Mizizi. Many people ask me if I am a fashion designer or a stylist, but I really know nothing about fashion. I just see myself as an entrepreneur. The people I have surrounded myself with in Florida has only fed my ambition and have really made me grow exponentially. TPF: Walk us through the process of launching this line. Paakow: Well, when George left the company I took matter into my own hands and ventured to New York to find a manufacturer for my product. I literally spent days in the Garment District going from shop to shop seeing is they were able to accomplish what I needed done. By the end of my trip, I had nothing to show for it. None of the manufacturers were able to cost effectively produce the line. That is when I decided to scale down and focus on one product that would be a best seller, I.E. the baseball jerseys. TPF: What type of person do you envision in your clothing? Paakow: Honestly, anyone and everyone. The first time I even wore one of my jerseys I was in dapper wear and the outfit looked good. First time my mom ever wore a jersey, she wore the Ghana one like a vest while wearing a kufi hat. I never imagined how versatile baseball jerseys were but they truly are. TPF: Where can people find your jerseys? Paakow: Our website is Mizizishop.com, Instagram is @Mizizi.Shop, Twitter is @Mizizishop, Tumblr is Mizizishop.tumblr.com. TPF: What is a quote that you live by? Paakow: I know it sounds cliche but, "Your vibe attracts your tribe." TPF: Do you have any advice for people trying to start their own lines? Paakow: Never rush it, never give up. Take some time to fully develop your ideas. Till this day I have my original jersey designs, which are just terrible compared to what I have now, but back then I thought they were amazing. TPF: What does it mean to Live Life Profashionally to you? Paakow: The clothes you wear evokes opinions and perceptions that ones have about you. Before you get dressed and step out, what impression are you trying to make? TPF: Where do you see yourself in 10 years? Paakow: Man, I have no idea and I don't necessarily try to think that far ahead. As long as I remained blessed I have no worries. TPF: Anything else you would like to share with us? Paakow: Be sure to check out our official release on August 30th at 6 PM EST. Hello my loves! I apologize for my temporary disappearance. I moved back into school last Thursday and have been a tad bit busy but it feels so great to be back at The Mecca. My friends and I are reunited and have decided to embark on monthly Sunday adventures so that we really get a chance to explore D.C. This past Sunday we went to a new spot for brunch. 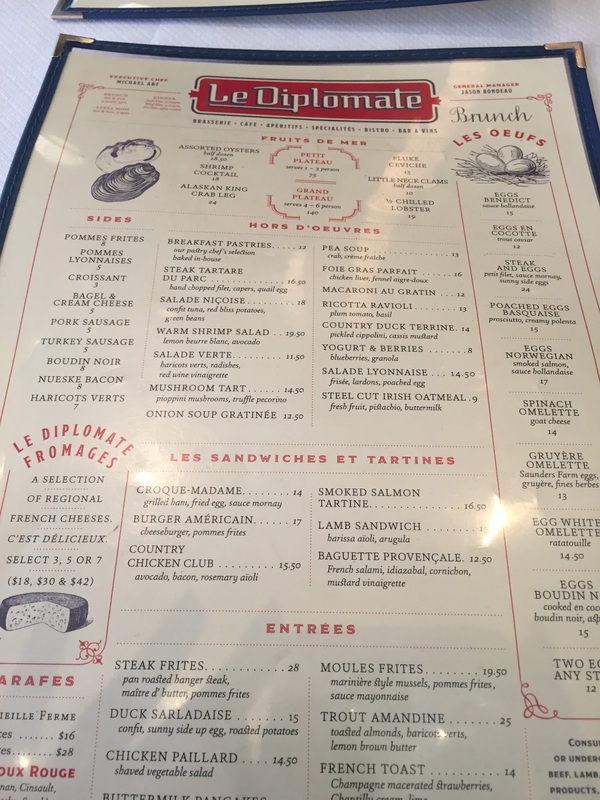 The restaurant, Le Diplomate, is a French brasserie located in Logan Circle. 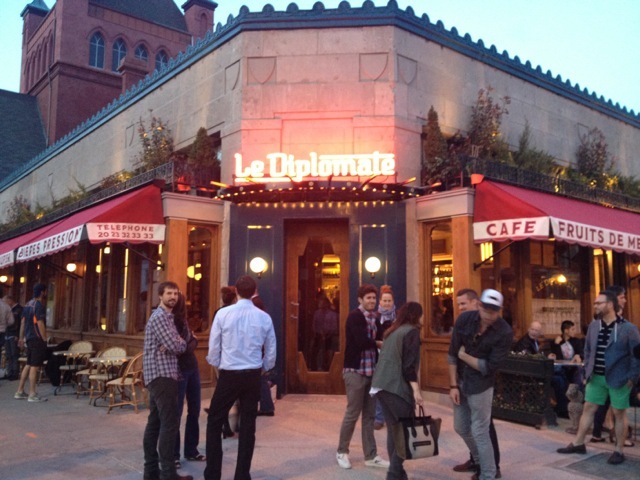 The ambiance was delightful and the food was delicious. 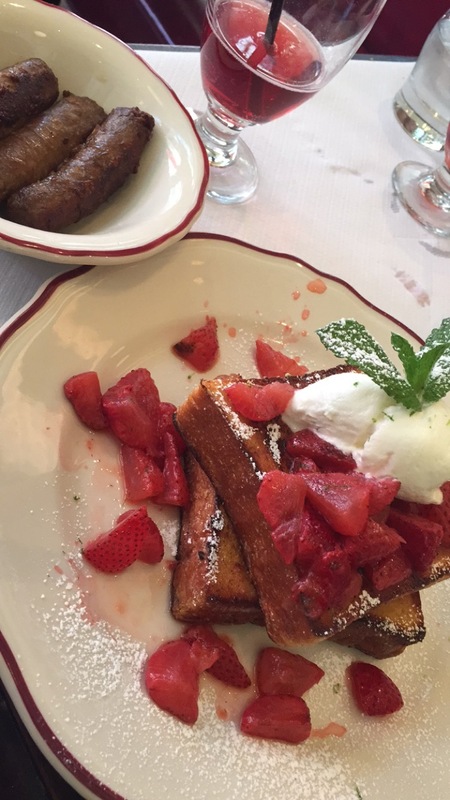 I ordered the french toast with a side of turkey sausage and fell in lovee. 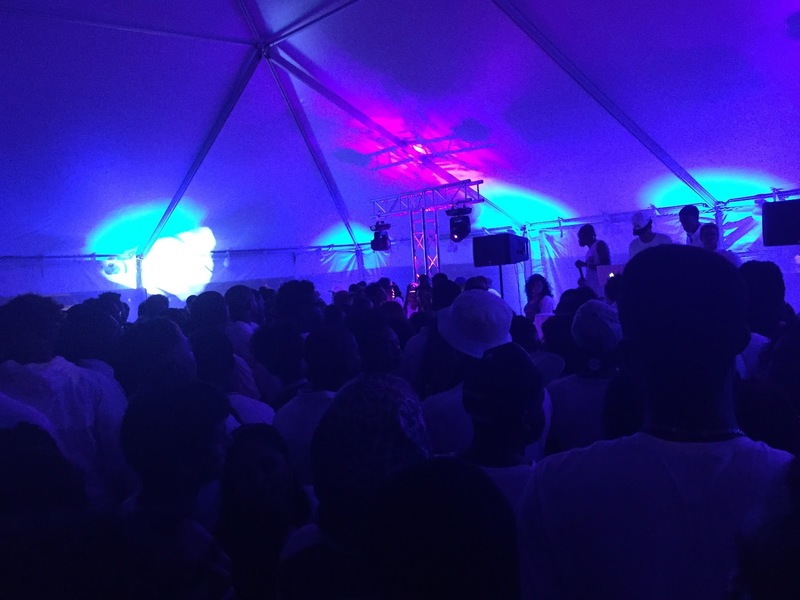 After brunch, we hung out a bit then got ready for the annual all white party, "White Chocolate" hosted by our student association. I searched high and low for a white jumpsuit or white culottes but was unsuccessful in my attempt *insert sad face here*. 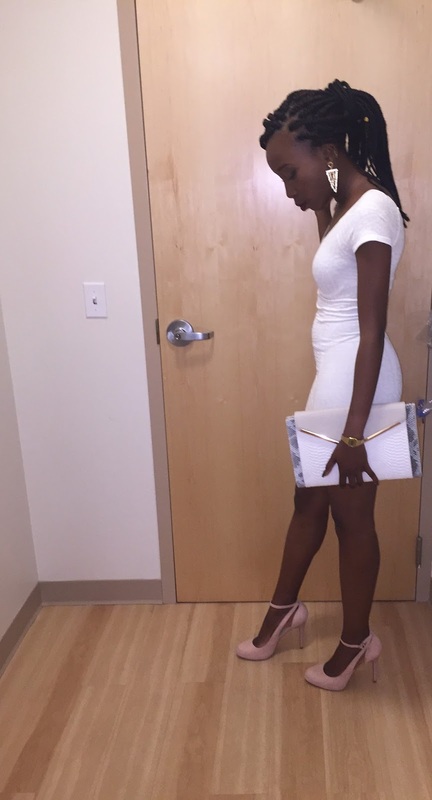 I ended up wearing a white bodycon dress from Bebe paired with some new pale pink heels I had been dying to wear from Macy's (only $25). For accessories, I chose my faithful gold Casio watch, some triangle shaped drop down earrings, and a snakeskin clutch from Francesca's. It was a fantabulous Sunday and I can't wait to share my Sunday adventures with you all. For now, it's back to the books! Stay Profashional my loves! It's just about that time to head back to college which means it's time to shop, shop, and shop some more! I would definitely consider myself a savvy shopper and want to share some of my top clothing stores and tips with you all. You can thank me later. (Sidenote: they are listed in no particular order.) Ready, set, shop! To be completely honest, I only shop in the sale section at J.Crew and I can tell you that their sales go crazy! All of their sale items are an additional 40% off right now (in store and online) and when you present your college ID you get an additional 15% off (in store only)!! One more tip: if you want to avoid paying the cost of shipping, go in store and have them pull up the item you want on their computer. The sales associate can have it sent to your house for free and you get that extra 15% off you can't get online! I have been shopping at Topshop for awhile now and love their selection and prices. They offer free shipping and returns year round which is always nice and also offer a student discount. College students get 10% off all Topshop purchases through a Student Beans account so sign up today! Zara is another store where I usually stick to the sale section (ballin on a budget, remember) and their sales also go crazy! The nearest Zara is about 35 minutes away so I usually shop online but paying for shipping is totally worth it. Who doesn't love Urban? Their pieces are super cute and pretty affordable. I am in love with the new UO app because it allows you to get rewards after a certain amount of purchases, store check ins, etc. Also, they have free shipping all month long so don't miss out! H&M is THE place for basics! Tank tops, crop tops, T-shirt dresses, socks... the list could go on! When you sign up for their newsletter, you get a 20% off code delivered straight to your email. ASOS is another great online store being that they have year round free shipping and a 10% student discount! They sell some great brands including River Island, Adidas, New Balance, Ray Ban and Missguided to name a few. All I have to say is super super cute! Missguided has the cutest pieces for great prices! No, they do not offer free shipping but they offer a 25% student discount that applies to all full priced pieces. Nordstrom Rack is basically Nordstrom's outlet store. They always have great deals both online and in store. Shopping in store requires a bit of rack sifting but I promise you will find something fantabulous. If you have any good tips, please comment and share! And as always, Stay Profashional my loves! Anyone who knows me well will be able to tell you that I HATE wearing pants! I mean they're basically just bothersome for your lower half and there is no way you can look me in the eye and say that the first thing you do when you get home isn't take off your pants. Now that being said, I have a special place in my heart for jumpsuits (technically they don't count as pants, right)! A jumpsuit looks effortlessly cool on anyone and can work for numerous occasions! 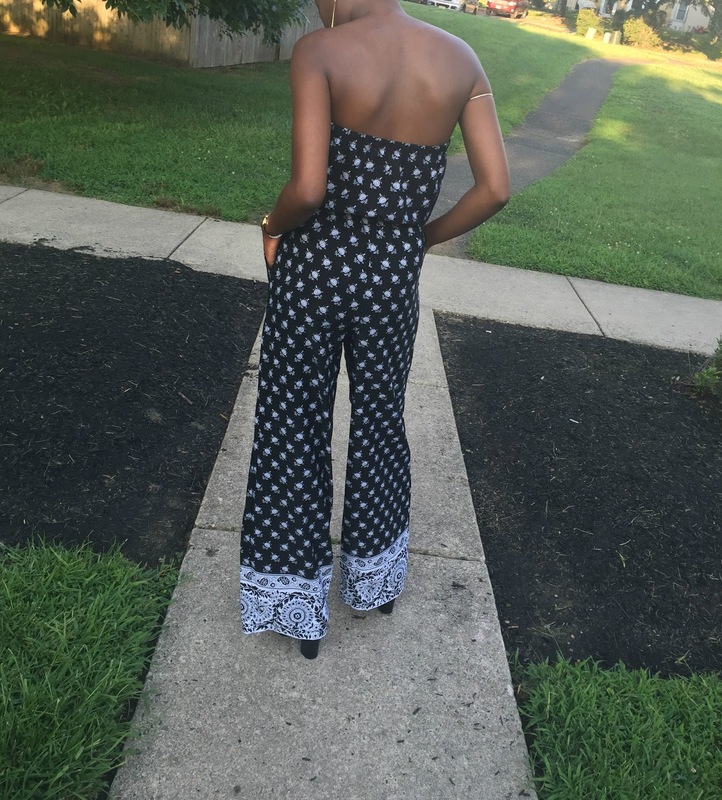 From bumming around on weekends to attending fabulous affairs, the jumpsuit works. 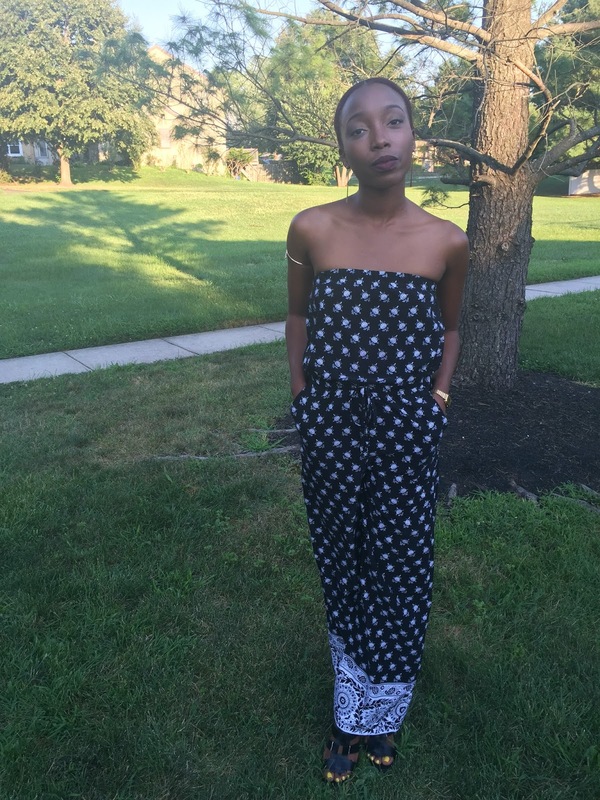 I fell in love with this wide leg jumpsuit from Nordstrom Rack and decided to wear it to my sister's graduation party. 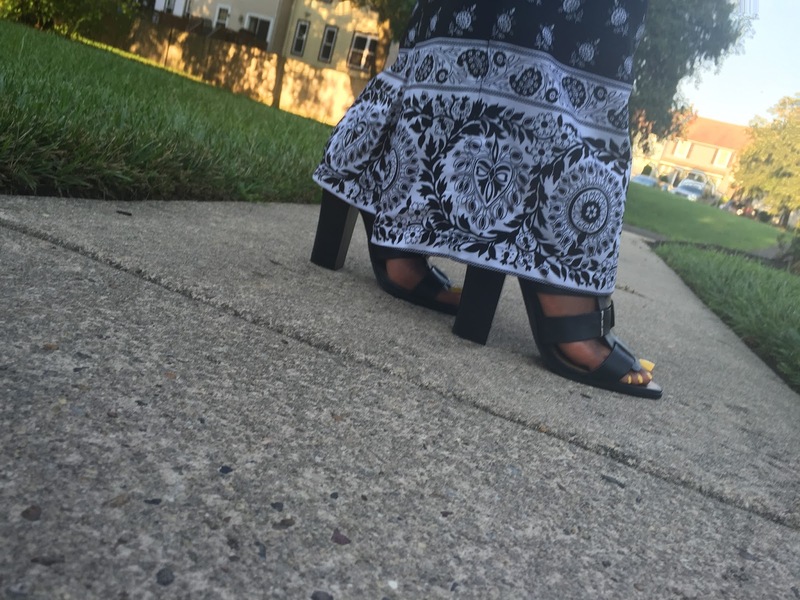 I paired it with my Steve Madden sandals for a more dressy feel. In terms of jewelry, I went shopping in my mom's jewelry chest and found these simple drop down earrings. I added my gold Casio watch and arm cuff to complete the look and was ready for the festivities. 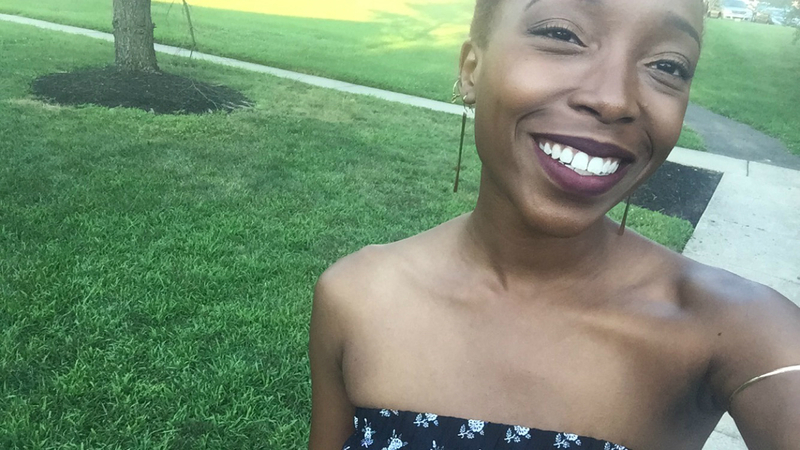 Sidenote: I had to throw in the selfie because I am in lovee with my new lippie! The NYX Soft Matte Lip Cream collection has been out for some time but I finally bought Transylvania from Ulta and it is fabulous!